Exploring the world, one place at a time! Am a contradiction of sorts. i love going out and having a good time with friends, and i can also stay home chill out over a book or a movie..
Ah, Friday, I've missed you! 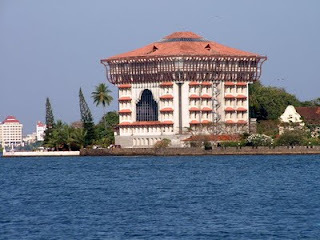 While in Kochi, we walked along the Vasco Da Gama Square, along the beach. 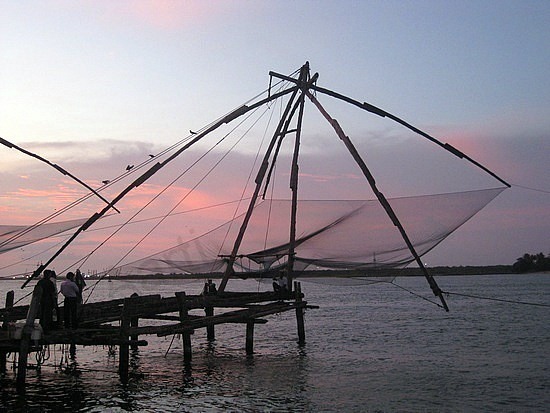 The shore was lined with Chinese fishing nets, and i stood there watching the sun set on the Kochi coastline, while some played in the water, and others strolled along the path. It was one lively place to be at, filled with people from across the country and borders; hawkers selling fresh catch to the instrument used by Snake charmers [Been or Pungi as it is called]. We also spotted a street performance act from Chennai where a girl was balancing a long pole while walking on a rope! As we raced to the airport, the one thing going on in my mind was "damn, we should probably have just booked ourselves on a later flight" n but another conflicting thought pounced in- "if flight were later, you'll be off exploring more places and who's to say you'd have had a journey any different than now".. Hmm, true! I knew we would definitely have either spent more time in the Dutch Palace, or hopped in for a quick visit to the Police museum or grabbed lunch en route.. 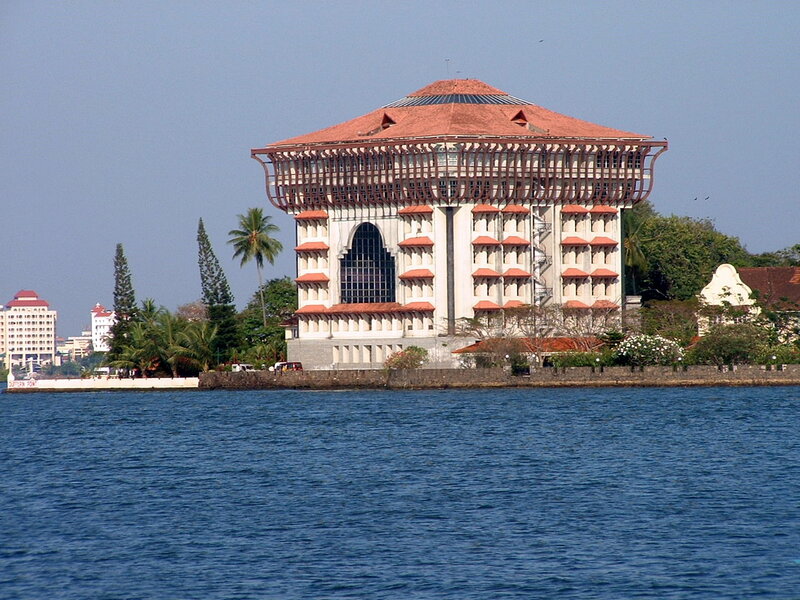 The little over 24hrs in Fort Kochi was fun, amazing, interesting, tiring- but all in all a good experience! Got a taste of what Kochi offers and I sure hope to revisit some of the places or snoop around for more ..soon!! Phew.. Finally, i get an opportunity to pack my bags and disappear for a few days... Albeti, there was a bit of chaos and drama involved, but a journey to a place i havent visited in over a decade, or has it been more? Oh well, not bothered! Am looking fwd to tomorrow morning... Landing in the destination, exploring what little is possible! I love travelling , more so travelling alone and it has indeed been long since i went away on my own! The kind of peace and calm i find, the ability to just take the day as it comes and make plans as i go along is something that was new to me, but soon became my mantra when travelling on my own..
We never really did family trips, most of my travels have been through school, college, or with friends. Therefore, it wasnt too much of a surprise that i decided to take the plunge and head out on my own. And now am wondering when that will happen again... Soon! i hope!! 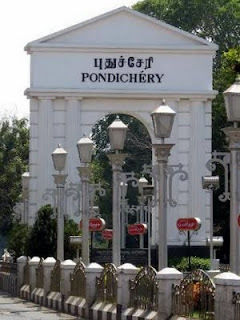 Pondicherry - Everytime is the 1st time! Uncle: Can we go to Pondicherry tomorrow? Just a day trip? Uncle: Ummm, can we make sure it is an AC bus? We head out around 5.30, so we can make the most of the day and get back before it gets too late! The day flew by, the journey was fun, with us yapping over the things we had done in the past..We were surprised that our uncle dint get lured by all our rants, and remained focussed.. he wanted to buy some ceramic pots and bowls from the stores there.. and he did!! May in Chennai is always Hot, and Pondy was no different.. It was scorching, but thanks to my friend V, we got a cab that took us to Auroville, where we spent quite a bit of time wandering the grounds, watching the video on Matri Mandir, and ofcourse shopping, eating drinking in the complex within Auroville center. its a good thing the stores were all in one place, else we would have been exhausted. Gramma: So, how was the day? Every visit of mine to Pondy has been different and unique. It is like i am travelling there for the 1st time! The person i am travelling with is different, the things i do are different, the kind of experience is different..
Well, my uncle is coming for a visit in a few weeks and i wonder if there will be a trip like this... :-) Until then, adios! !